Following this example, Reeve Lindbergh drew on her childhood experience to create many of her memorable books. Inspirational words from her past infuse In Every Tiny Grain of Sand: A Child’s Book of Prayers and Praise, a collection of seventy-seven treasured poems and prayers from many cultures and faiths. “It is a joy to see familiar and beloved words from my own childhood come to life for other children in the presence of such beautiful paintings by four remarkable artists,” she says of the book’s illustrators, Christine Davenier, Bob Graham, Anita Jeram, and Elisa Kleven. About The Circle of Days, an adaptation of the “Canticle of the Sun,” she notes, “I have always loved the simple, strong voice of Saint Francis of Assisi giving thanks for life itself and celebrating everything in existence.” And On Morning Wings, luminously illustrated by Holly Meade, is a gentle adaptation of one of her father’s favorite psalms, words from which he chose to have inscribed on his gravestone. 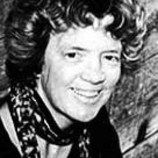 Reeve Lindbergh, who also wrote Nobody Owns the Sky and My Hippie Grandmother and contributed to When I Was Your Age: Original Stories About Growing Up, an anthology of works by ten award-winning writers, now lives in the remote Northeast Kingdom area of Vermont on a farm with her husband and youngest son.